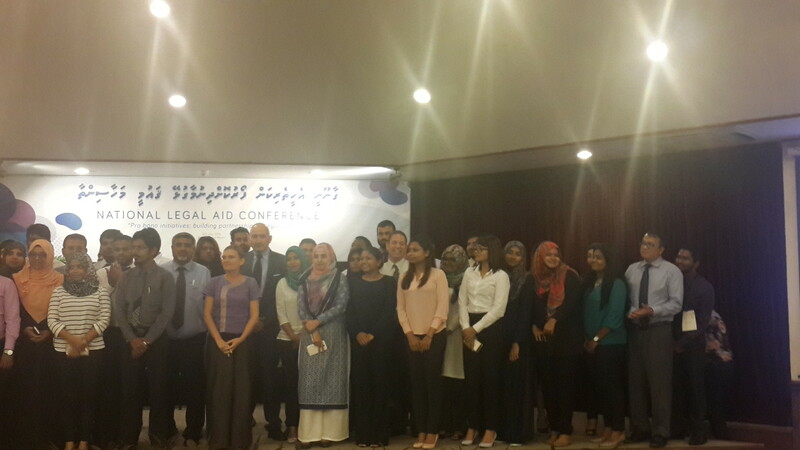 On July 20th, 2016 BABSEACLE Directors Bruce A. Lasky and Wendy Morrish were invited by the United Nations Development Programme (UNDP) and the Maldives Attorney General’s Office (AGO) to assist as resource persons in the country’s first “National Legal Aid Conference” under the theme “Pro bono initiatives: building partnerships in legal aid”. The day-long Conference was held at the Bandos Island Resort, about a 40-minute boat ride from the Maldives capital, Male. The Conference was initiated due to recent law reform and access to justice developments in the Maldives and as a means to further these developments. Under the Constitution of the Maldives, the State is required to provide legal aid to accused people who cannot afford to engage a lawyer in serious criminal cases. Currently, the Attorney General’s Office (AGO) is mandated to fulfil this constitutional obligation. Further, the state’s mandatory obligation to provide legal aid has been widened with the enactment of the Domestic Violence Prevention Act, and necessary regulations entailing the State to provide legal aid at the investigation stage in murder cases. However, the State faces a number of challenges in fulfilling this constitutional obligation. These include, financial constraints to acquire services of and retain lawyers, lack of legislation, policies or clear strategy that is rights oriented and people-centred. There is also a lack of public awareness about the role of legal aid and its accessibility. The Legal and Justice Sector Baseline Study conducted by UNDP and the Attorney General’s Office in 2014, highlighted structural and individual barriers to accessing justice sector services. These include low levels of public confidence, lack of affordability, and a lack of awareness of the roles, functions and procedures of legal and justice sector agencies. According to the study, access to justice is most difficult for members of vulnerable and marginalized groups in both urban and rural settings across the country. In view of the existing challenges and needs the above Conference was held. The Conference was attended by a wide-array of persons including private lawyers, government legal sector representatives, civil society members, academics, students and others. Various resource persons, both from within the Maldives, and internationally, we invited to assist and present. The BABSEACLE team assisted in a number of ways. Initially this was done through providing a review of the conference materials, format and content. Then, during the Conference, the BABSEACLE Team presented, in their usual interactive way, on pro bono developments and initiatives through public-private partnerships throughout the Asia region. This was followed by the Team helping to facilitate both a Plenary and Breakout Group Session focusing on localizing models for providing pro bono legal services through public-private partnerships. Just prior to the Conference’s closing, all participants were asked by the BABSEACLE Team to take on small but positive step forward, which all in the room did in unison, demonstrating the actual commitment to move this initiative forward. 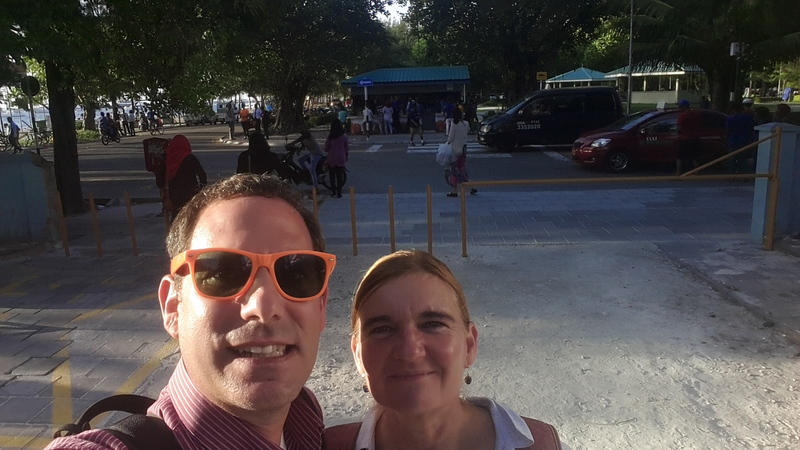 In doing so it became even more clear that those in the Maldives are an important part of the ever growing Asia Pro Bono Movement. A significant portion of this article is based upon the Concept Paper developed by UNDP in support of the Conference.